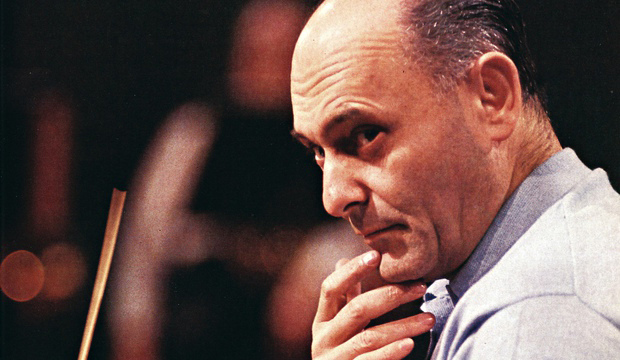 Georg Solti’s triumphant Wagner cycle – the Decca cycle with the Vienna Philharmonic, that was begun in 1958 and completed in 1965– straddled his the Royal Opera HouseDie Walkürie, the live version of February, 1961. This Testament imprint may not have been his most famous recordings of Wagner. In fact the live version does not even make many discographies, even though Mr. Solti spent over a decade with the legendary London repertory company. However this monaural recording is one of his finest. Performances by Hans Hotter (Wotan), Anita Välkki (Brünnhilde) Jon Vickers (Siegmund) and the great Rita Gorr (Fricka) define the recording. 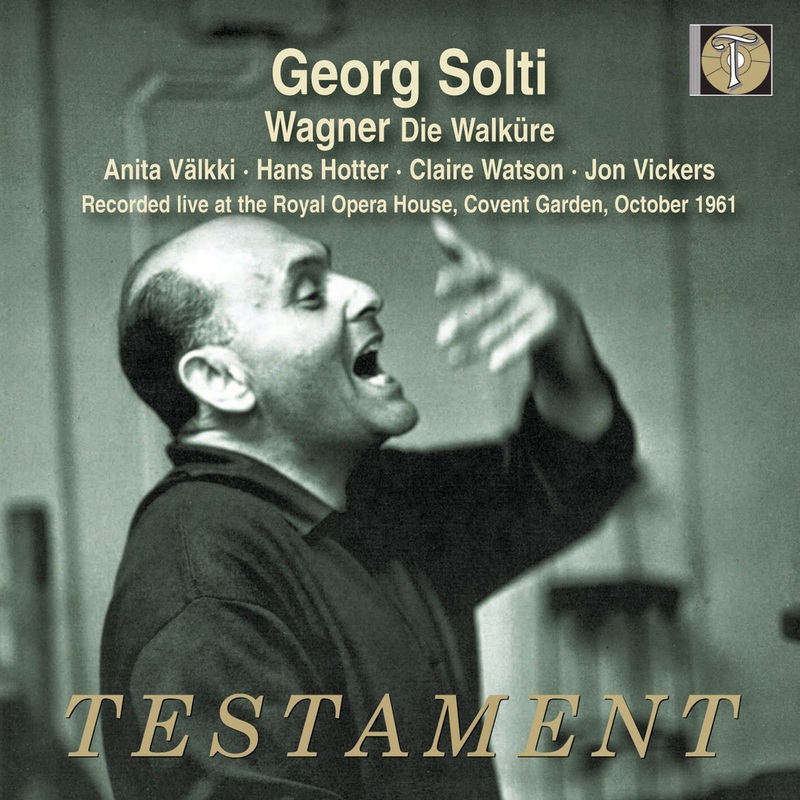 Mr. Solti’s dense woody textures and brisk tempi seen as informed by history as by the early Romantic, orchestral weight of Wagner’s essay in Schauerromantik. Mr. Solti’s choice of score and forward-looking Romanticism define this forgotten historic performance. Here is charm, wit and even kitsch alongside spooky, but never overdone drama. The recording is also first-rate in warmth, immediacy and clarity – everything a great analogue mono recording should be. And the voices? A large amount of rehearsal has clearly been done, and shows, in the soloists and choir’s complete absorption of Georg Solti’s stylistic lead. In addition, this version of the famous Wagnerian play favours chamber-like clarity and colour over brute strength and decibels. This is also, in short, an ensemble – and that fact should inform comparisons with singers on other sets. Jon Vickers is completely individualistic (his difficult relationship with Georg Solti over interpretation was legendary. But he was and continues to be remembered for this genre-defining role. Rita Gorr is sublime, as is Anita Välkki and Hans Hotter. These performances are most compelling – indeed lustrous but there is an assumption that they are buried deep in the style and tradition of the music. Rita Gorr turns in her most impressive singing ever on these discs. Jon Vickers’ Siegmund is more of a character actor in his delivery; Hans Hotter’s is a vintage reading of Wotan. You can hear his legendary style in his duet with Rita Gorr’s Fricka in “Was Verlangst du?” in Act Two, Scene One when his acting out of the part is reliable, game and moving. And then He and Brünnhilde reach great heights in Act Three Scene One. Elsewhere Jon Vickers’ Siegmund must count as one of the most defining performances of a Wagner role. No serious Wagner collection should be without this rare and exquisitely produced recording. Even without Wagner’s libretto to accompany this music here is a rare and hitherto unpublished recording of Die Walkürie. It is a great addition to the Decca collection; and includes some of the best all-round modern performances. This is marked – even if I have to say so again – by a Wotan of Lieder-like detail and care, Hans Hotter’s finest performance of the role yet recorded. These Royal Opera House discs are better cast than most recordings and are the most compellingly cast and memorably conducted.